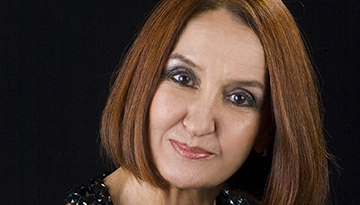 Director of the Teatro Colón Permanent Ballet Company, Lidia Segni will be a member of the 2015 Prix de Lausanne jury. Lidia Segni is a true representative of the most rigorous tradition in Argentine Classic Ballet. She was born in Corboba City, Argentina. At an early age she was admitted to the exclusive Instituto Superior de Arte of Teatro Colon. She became prima ballerina at the prestigious Teatro Colon in 1977. International choreographers such as G. Skibine, A. Lozano, A. Plissetsky, P. Lacotte, O. Araiz, J. Carter, and Z. Prebil selected her for the leading roles in their most outstanding works. She was also chosen to perform the leading roles in Apollon and Les Sylphides with Rudolf Nureyev in Buenos Aires, and Rio do Janeiro, Brazil. In 1983 Godunov chose her to perform Carmen during a tour through the Americas. In 1989 she began coaching Eleonora Cassano and Julio Bocca. That same year she was appointed General/Artistic Director of Julio Bocca’s Ballet Argentino. With this company, she went on extensive tours of the U.S. and Europe. In 2000 she was appointed Director of the Ballet of the Teatro Argentino in Buenos Aires. In 2003 she was assigned as ballet teacher of the Contemporary Ballet of the Teatro General San Martin of Buenos Aires. In 2009 Ms Segni was named Director of the Teatro Colon Ballet. To have become director of the Teatro Colón Permanent Ballet Company. To forget choreography while dancing on stage.